I was leaving work for the first time when it was light out in I don't know how long to go to the dentist yesterday and I saw this beast for the first time In case your sense of scale is off, that thing is freakin' huge. If anyone was wondering what the heck it was here is what I found out. Department of Administration is installing a new 1.9 million gallon thermal energy storage tank constructed adjacent to the Capitol Heat and Power Plant (CHPP) building located at 624 East Main Street and will assist in the delivery of chilled water to the Capitol and other downtown state office buildings. The possible addition of a thermal energy storage tank will increase the efficiency of the plant’s chilled water system. It will allow for generation and storage of chilled water during off peak energy loads thus minimizing the use of the electric chillers during on peak loads. CHPP will be purchasing electricity from Madison Gas & Electric (MG&E) and will be routed to the CHPP switchgear which will be controlled by CHPP operators. CHPP manages the flow of electricity to the Capitol building and to power the plant The thermal energy storage tank will blend into the surrounding buildings if it is constructed. 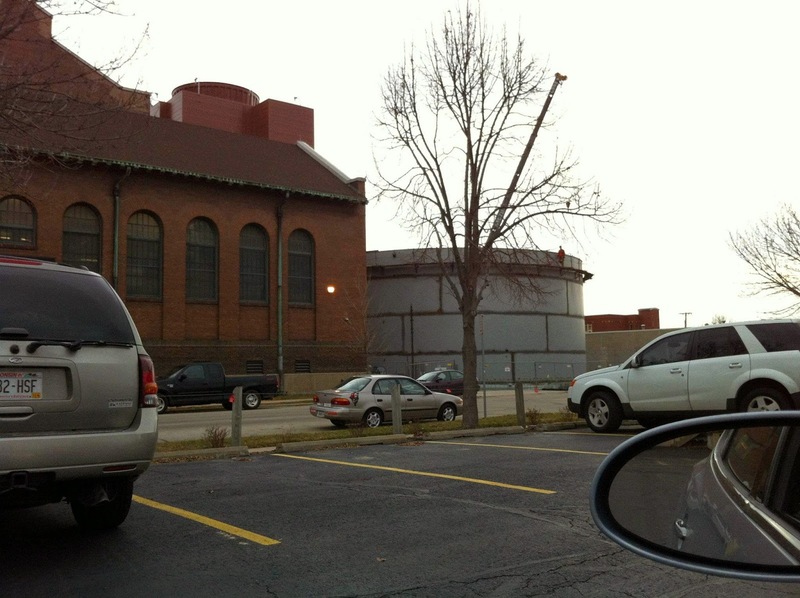 The tank is anticipated to be shorter than the cooling towers that currently exist on the project site and incorporate building materials, colors, and detailing that are intended to be aesthetically pleasing.